I have wanted to do this since the first blog post I wrote. Entering contests have been beneficial for me in two ways. Most importantly, it challenges me to think out of the box and hone my nail art skills but it also brought traffic to my blog and it helped me gain some followers that I have been grateful for. The one thing about contests is that, let's face it, some people are simply amazing with regard to their natural talent. 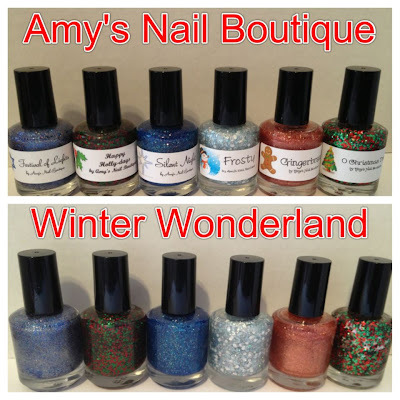 I can't do some of the free hand stuff that Sonoma Nail Art does. Her skills are far beyond what I will ever be capable of. So, with that in mind, I decided to make a challenge that is manageable for those that don't have the tremendous free hand skill. The Bundle Monster competition for Halloween amazed me. The stuff people came up with was just outstanding and it made me wonder what else people could come up with if the theme was not just limited to Halloween. There will be three prizes. 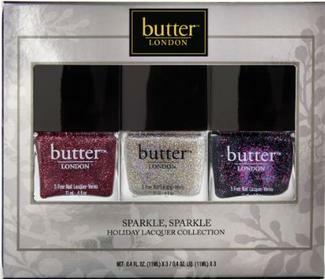 First, a holiday trio from Butter London. This includes, Rosie Lee, Fairy Cake and The Black Knight. 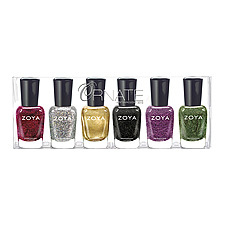 Second, the Zoya Ornate Collection. This includes, Aurora, Ziv, Blaze, Electra, Storm and Logan. This is open to international participants. You must use polish only, no acrylics for this challenge. 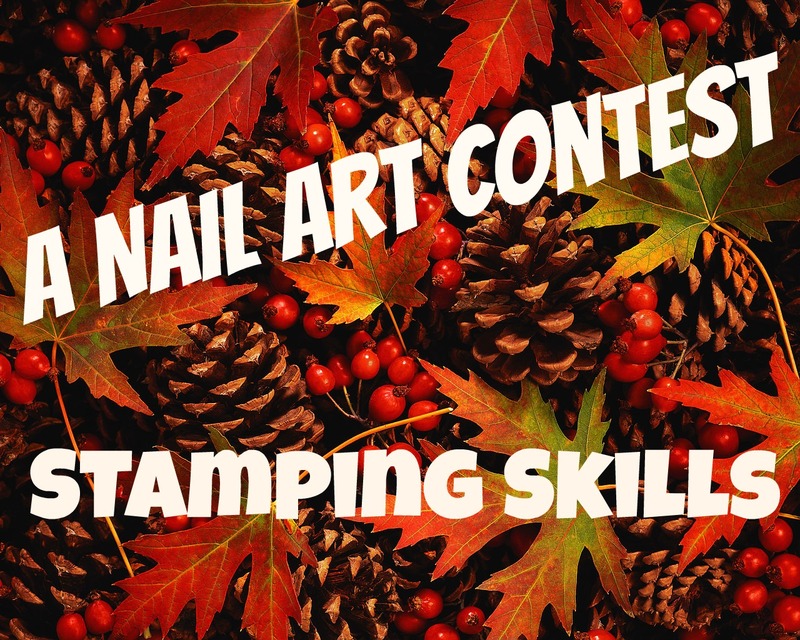 You must have your entry submitted by November 26th at 12:00 AM. Also entries must be submitted by using the Inlinkz tool that follows. You can link to your blog or any other social media site if you are not a blogger. There is no set theme....anything goes. Woohoo what an interesting contest! I truly believe stamping is an art in itself - and not to be underestimated!! If i do get a creative breakthrough, I just might join in :) Great contest! This is an awesome idea! I'm going to start brainstorming away! Awesome contest! I'm pretty good at freehand but stamping is a challenge for me lol. I'm going to start thinking about what I want to do. I like the idea. Let's see what I can come up with. I'll try it, where do I get the code? Just click on the light blue link above these comments that says "add your link" and follow the instructions. You don't need to add any codes to your blog. Let me know if you have any other questions. You're such a silly goose! <3 They are super cool gals though, aren't they! awesome! :) i need to get to work! I'm definitely going to enter!!!! Great contest, I am trying to make something and enter! Here you will get the opportunity to lay hands on range of products that includes lip gloss, lipstick, lip paint, Eyelash Curler, eyeliner, brow, eye shadow, mascara, oil blotting sheets, AMC face and body bronzer, blush, body sparkles, AMC face and body illuminator, concealer, base and much more. Sounds like a great contest. I would love to participate. Sure! Just click on the light blue button above these comments labeled "add your link". Follow the instructions from there. Let me know if you need anything else. I don't know if my entry link worked or if it's just my phone. Please let me know! Thank you!!!! The prizes are amazing I already envy the girls getting them.